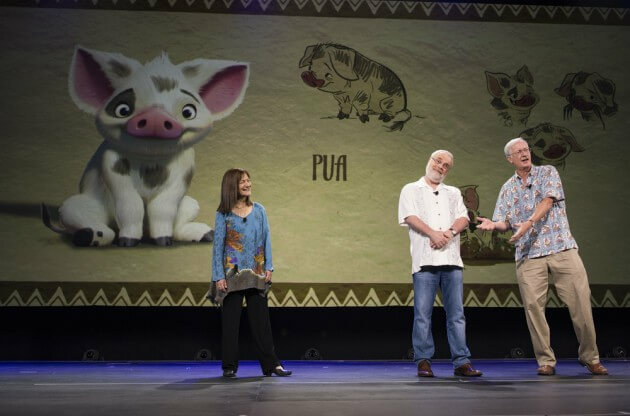 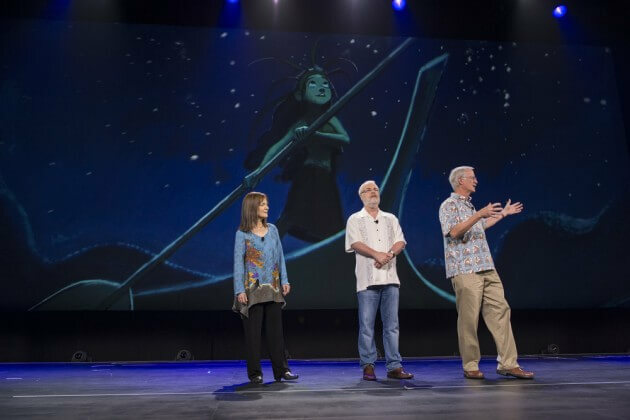 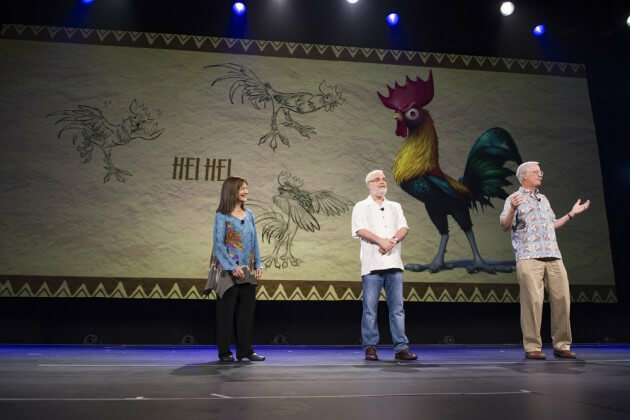 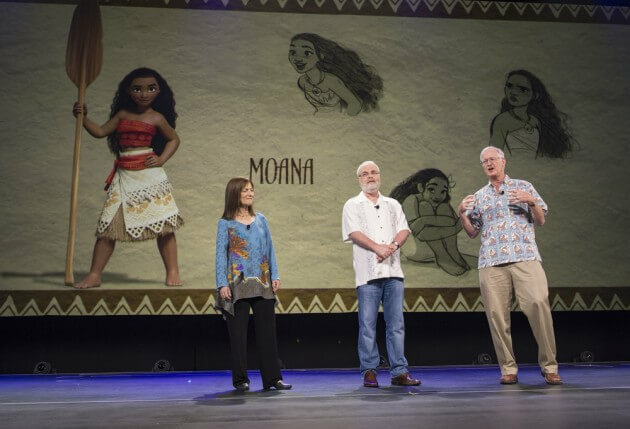 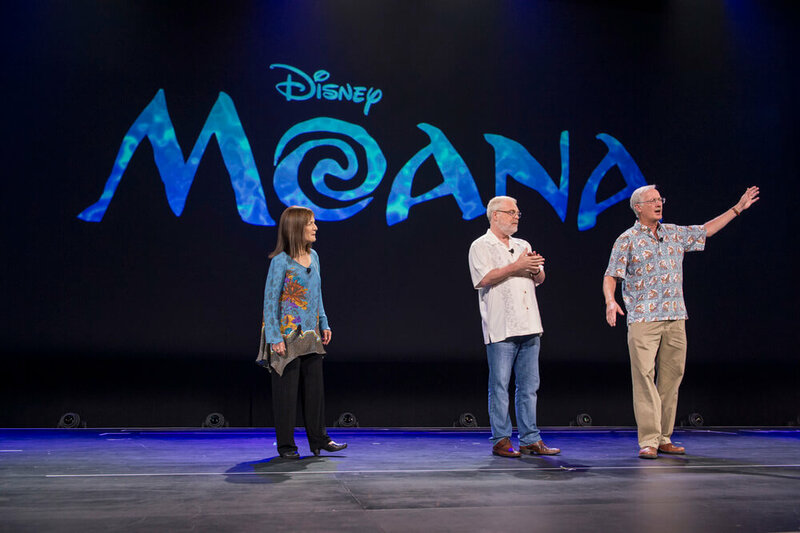 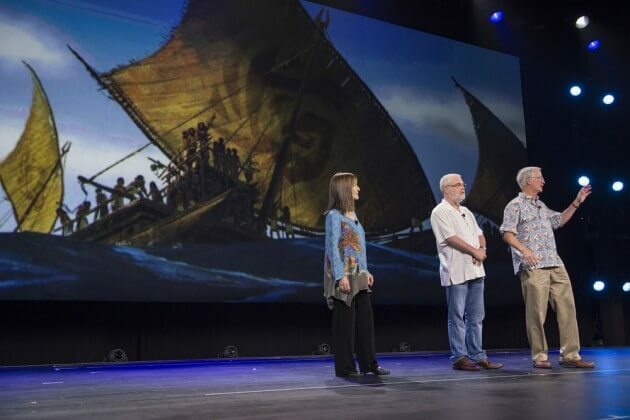 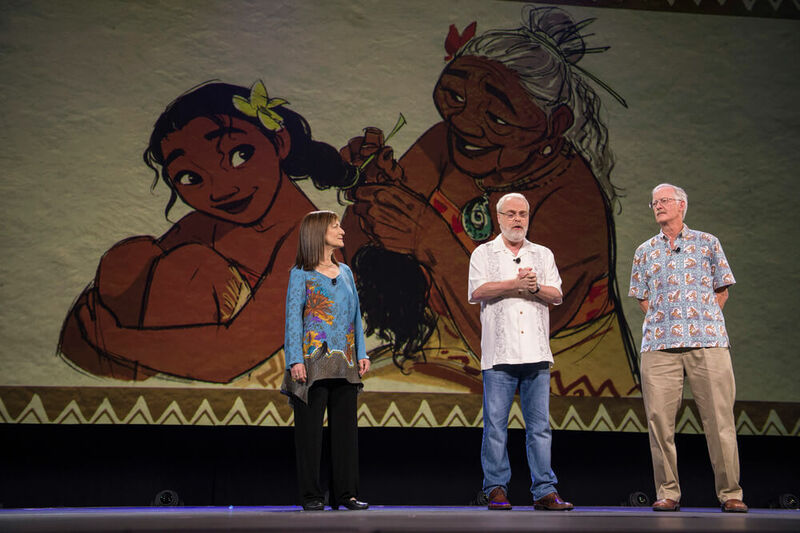 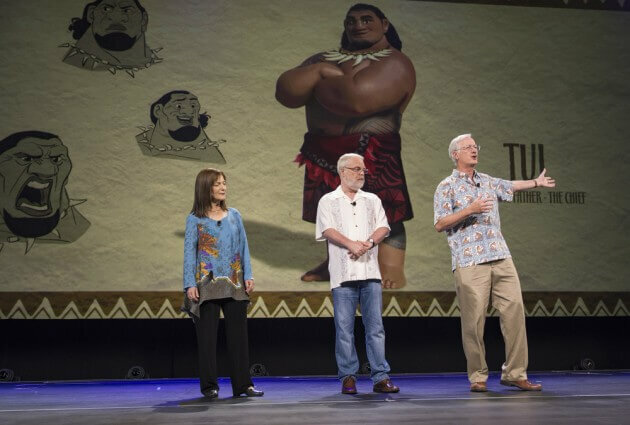 Renowned directors John Musker and Ron Clements (“The Little Mermaid,” “The Princess and the Frog,” “Aladdin”), and producer Osnat Shurer shared early test footage and revealed plans for the film’s music. 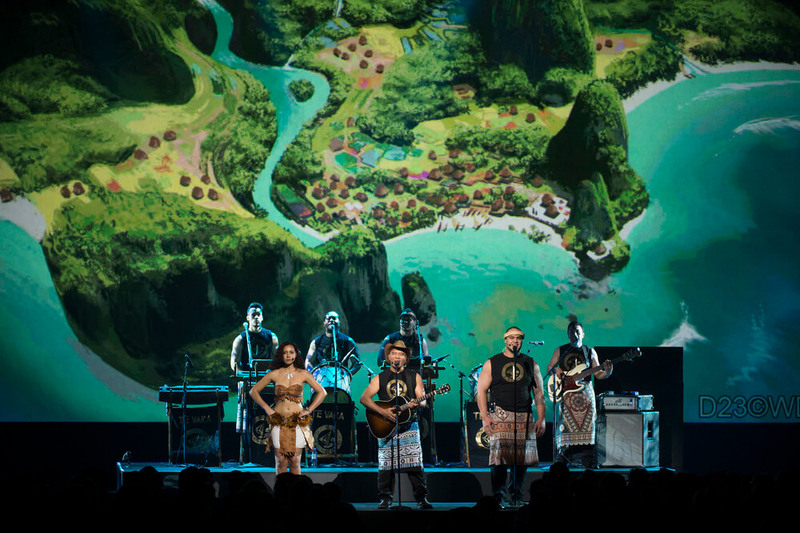 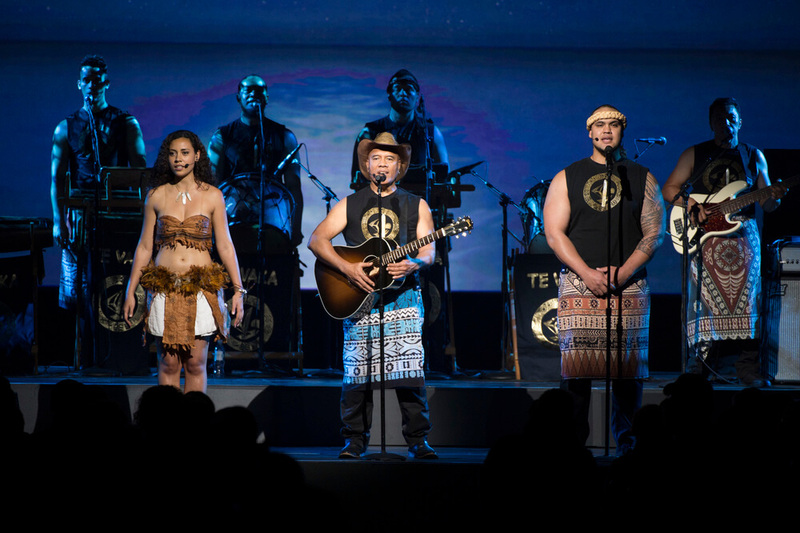 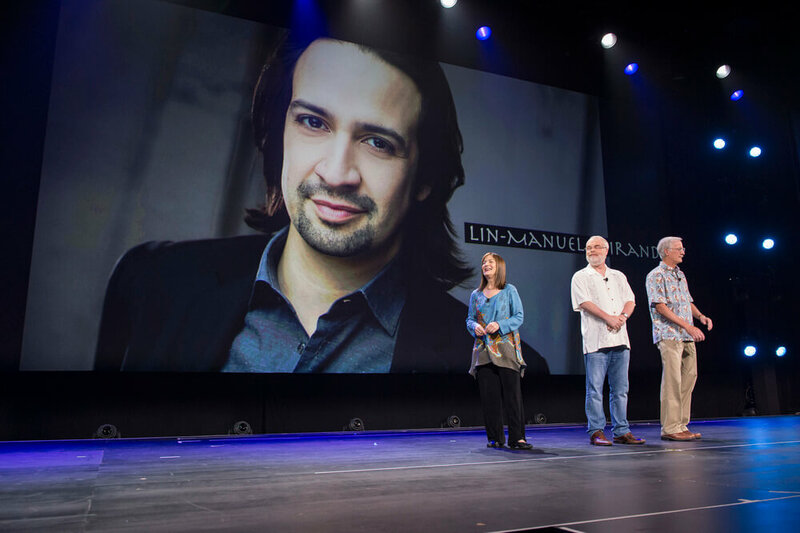 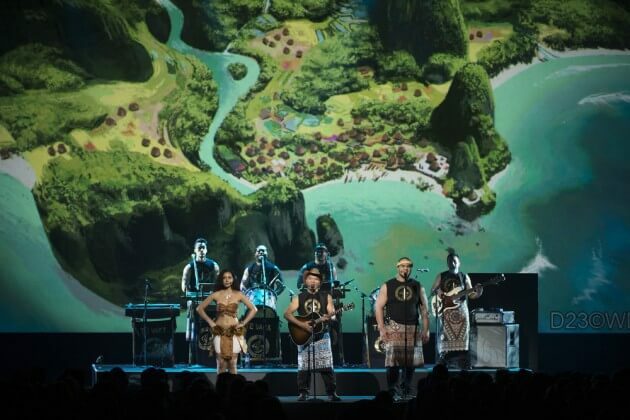 Tony-winner Lin-Manuel Miranda, Grammy-winning composer Mark Mancina (“Tarzan” “The Lion King”), and Opetaia Foa’i (founder and lead singer of the world music award-winning band Te Vaka) are working together to help tell the tale of a spirited teenager who sets out to prove herself a master wayfinder. 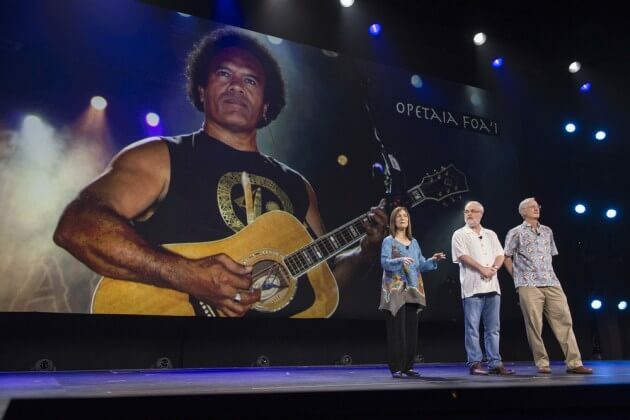 Following a tear-jerking clip from the film, Foa’i performed a bit of the movie’s music. 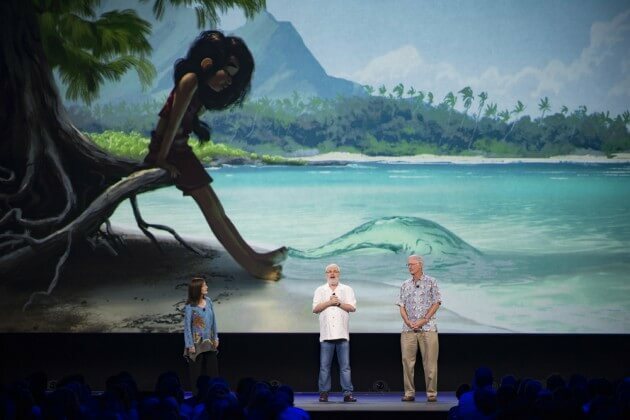 Love the design of Moana! Shorter, a bit stockier with muscle, but still very pretty. 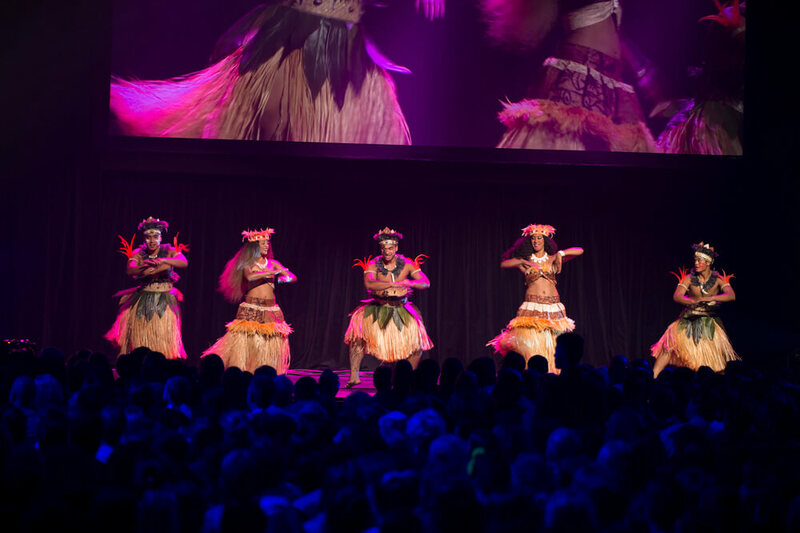 Wow… Pele looks AMAZING! 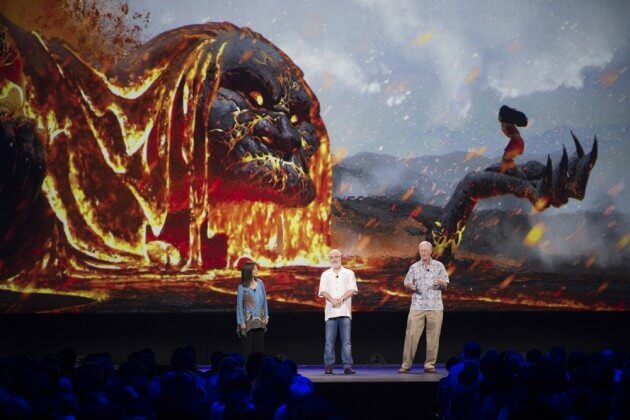 I’m looking forward to this one. 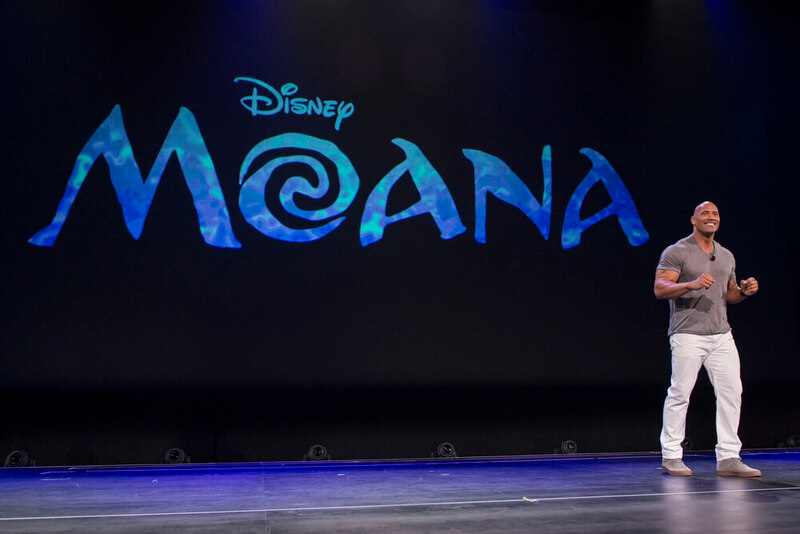 I will be waiting for moana ! 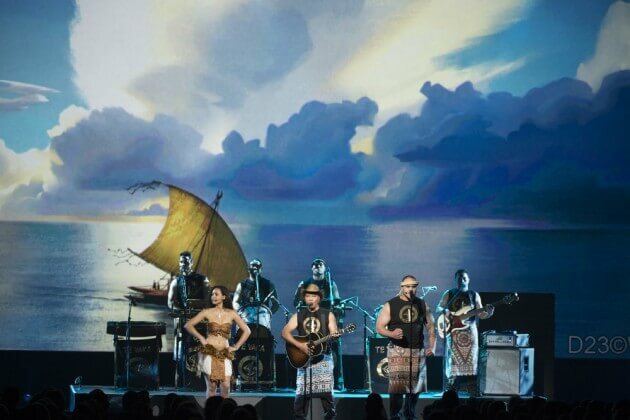 I from chile and i visited easter island ! 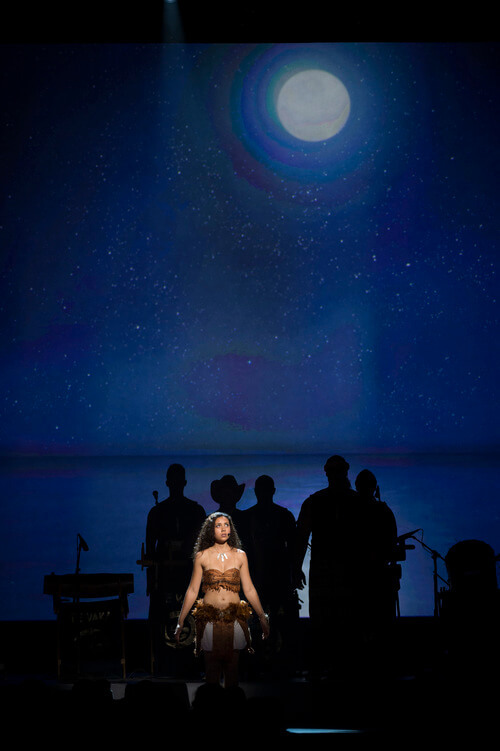 Besutiful!